Well, time is certainly passing pritty fast right now. Saying that though, a lady I know who had a due date fairly close to mine actually had her beautiful little boy a whole week ago now...so really, you never actually know when baby will need to make an appearance when you reach this stage in pregnancy. And for this reason, I like to be organised. Which is why both mine and Baby Baker's hospital bags are sat, all ready to have the last minute bits thrown into them before they can be grabbed and thrown in the car. So today, well today I thought I would show you what I've packed for Baby Baker in her little bag. I've watched so many You Tube video's and read so many baby-bag blog posts to try and get this one right and I'd say I'm quite confident now that I have most things I'm going to need. I'm on the right track anyway and anything I do realise I've forgotten I'm sending someone out to get it for me so it's not a disaster at all. My lovely Grandma and Grandad bought this for me from Mothercare and it matches my pram perfectly. The bag was originally priced around the fifty pound mark but I spotted it in the sale for a brilliant £21 (I think) and I just had to grab it. The nappies are actually packed in my bag at the moment as I didn't quite have enough room for a full pack of them inside Baby Baker's bag plus everything else she needs. I chose Pampers Sensitive in the first size they do (4-11lb) and picked up a few of these 23 packs simply because they were on offer in Boots recently and worked out costing just £3 each. I have other brand wipes but have heard good things about Water Wipes so I stocked up on these for the early days too - especially as they were also on offer in Boots. I also popped in a pack of nappy bags and a sample size tube of bum cream - I suppose it's not always good to put anything unnecessarily onto baby's skin, but this doesn't take up much room inside the bag, and it was a freebie, so in it went - "just incase". I figured these would cover the main baby-weight bases. It will make the "going home outfit" a little more special without costing me a fortune. I've popped in two basic hats - one a little bigger than the other - just to ensure baby is all warm and toasty and I will add the Ted Baker one in too for home-time. Although most of the babygrows I have do have inbuilt scratch mitts in the arms and all have feet in them, I've put in a few extra pairs of mittens and teeny-tiny socks into the bag too. I really like this plain, cellular blanket I picked up from George for just £4. It is really simple and will keep Baby Baker warm in the hospital without being too heavy. 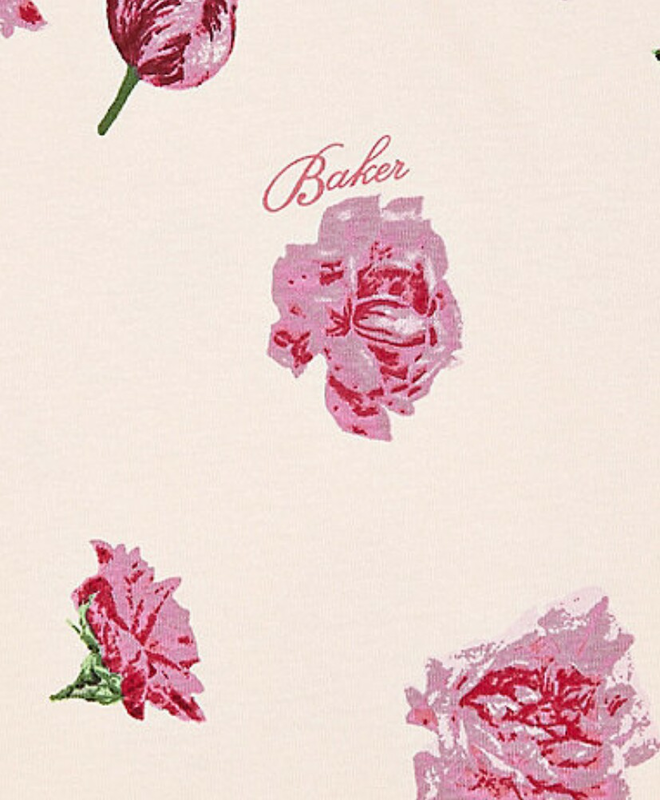 I'll also have the Ted Baker one with me at the hospital aswell which is a little thicker for the outside-travelling-home temperatures. I have five of each of these packed - for obvious reasons! Babies do tend to be sick now and again after all. I'm hoping to breastfeed (fingers crossed for me I can do it!) so a few of the muslin squares will be kept to one side for throwing over my shoulder to cover me up - especially if Baby Baker gets peckish during hospital visiting hours. Now I was thinking of buying a little padded jacket of some sort but then I figured that a not-too-thick snowsuit would be better for the October weather so I picked this one up for just £8 from George. I knew I would need one like this anyway for days out in the pram and although it's unlikely that the weather will be mega freezing (although you never know with British weather) Baby Baker is still going to need to be wrapped up - just without being made to feel too hot. This coat is perfect, both for coming home and for the earlier, slightly warmer first outing weeks. Plus its mega soft and cosy too. ~ We also have a car to take with us, obviously for travelling home but that is at my mum's house at the moment as it is apart of our pram travel system. I am in love with that stripy bag! I know for sure that when I eventually have a child that I will have something like that too!